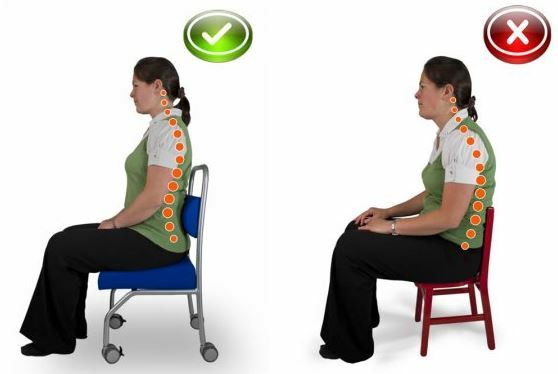 The innovative chair prevents over-stretching, crouching, bending and kneeling at low tables to reduce the amount of stress placed on the musculoskeletal frame. The height of the chair also brings the adult to child height meaning children do not place stress on their necks by stretching up to see. Essential ergonomic features such as the seat wedge and height adjustable back support, gently and naturally promote an upright sitting posture to reduce neck and shoulder pain. 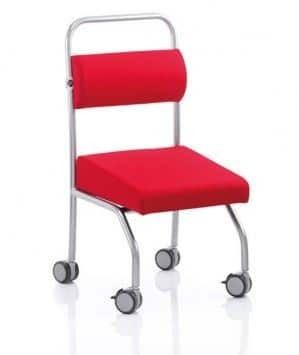 With lockable castors and an extended handle for easy mobility without bending or lifting the chair, Jolly Back also features an unobstructive floor base, which, unlike other chairs with 5 star bases, means that there is less chance for trips or accidents.